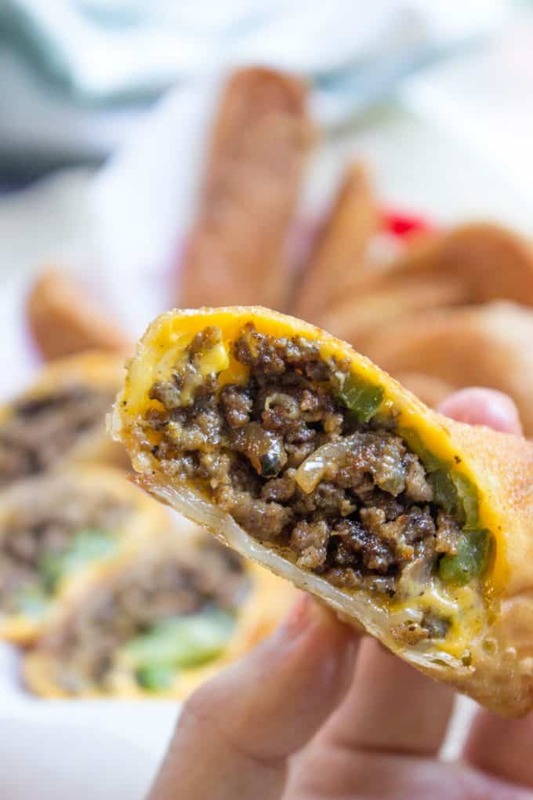 Cheesesteak Egg Rolls are basically the perfect fusion of American fast food and Chinese fast food in one. We love this recipe because they’re so easy to make (and cheap!! 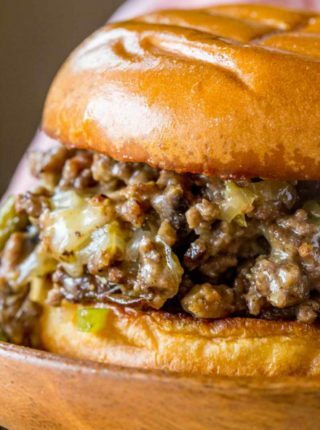 No ribeyes needed here, ground beef for the win!) and you can make enough for dinner tonight and then freeze an additional giant batch for the next three times you crave them! I have been on an egg roll kick recently, so when I looked in the fridge and saw ground beef and my counter had an onion and green bell pepper sitting on it I knew we would be eating Philly Cheesesteak Egg Rolls for dinner. One of my favorite takeout options, the years I spent in college in Washington, DC definitely introduced me to the delightful world of cheesesteak subs. We used to take day trips into Philadelphia to decide between Pat’s and Geno’s [the clear winner there is Pat’s]. Takeout places were open daily until 4:00 am in our neighborhood, they always had 2 for $10 sales for subs, fries and drinks. One place was so memorable, Manny and Olga’s, that when we moved back to DC for a few years it was one of our first food stops. We love all versions of Cheesesteaks around here, classic and a bit out there! This version of a homemade cheesesteak would be a great finger food item for parties or potlucks. They are ready to go in the pot of oil in less than 30 minutes and can even be frozen un-fried for later use. You know how your egg roll wrappers come 24 to a package? This is the perfect amount to use the whole pack! And if it’s just a few of you eating, you’ll have a huge batch left over to freeze for later. What kind of meat do you use in a cheesesteak? Ribeye steaks sliced very thinly are commonly used in cheesesteaks but for the purposes of these egg rolls we are using ground beef. 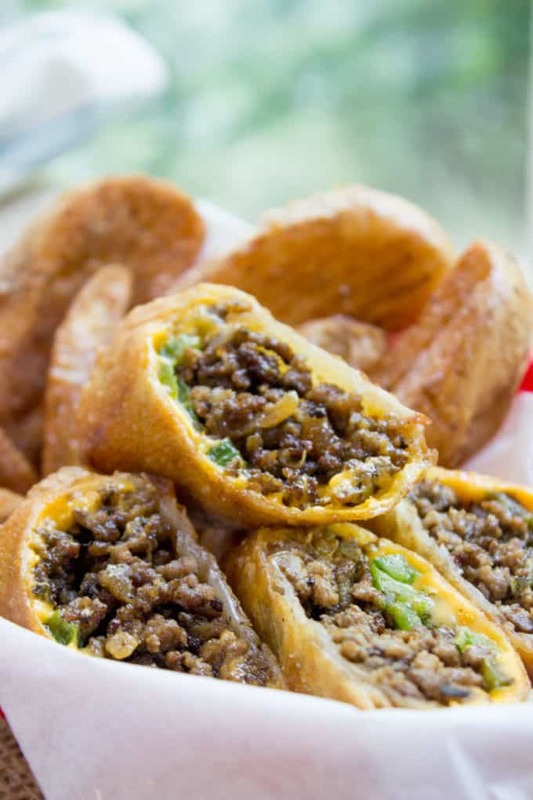 Some awesome dipping sauce ideas for these Cheesesteak Egg Rolls? Ketchup… I mean, c’mon, admit you’ve never added ketchup to a cheese steak. A mix of ketchup and mayo. Cheez Whiz!! One of the only acceptable times in life to use the whiz. Cheez Whiz: For dipping. Don’t judge me until you’ve tried it. 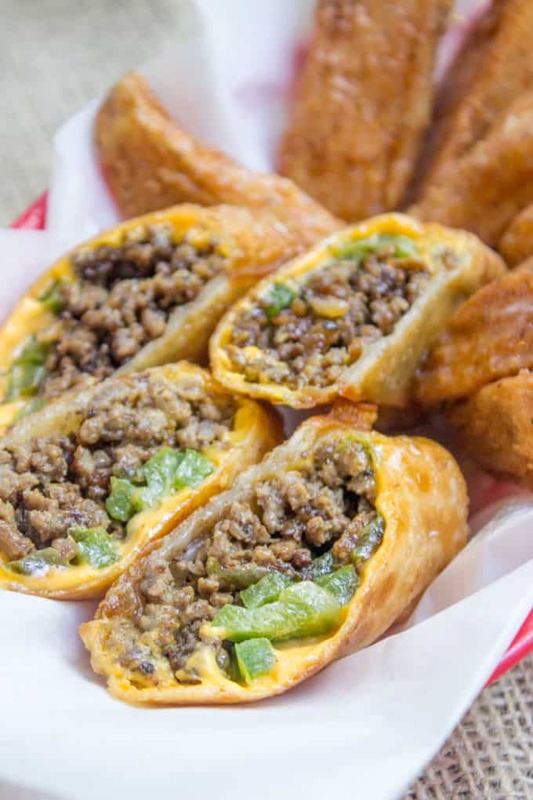 Philly Cheesesteak egg rolls have all the flavors of the classic Philly Cheese Steak Sandwich in a crispy shell and made with ground beef! Start by browning the beef in the skillet. Try to brown without breaking up the meat too much, get a nice brown sear on the beef, then break apart as little as possible. (You want the meat to resemble a pea in size [you want to avoid taco meat consistency]). Add the salt, pepper and Worcestershire sauce, stir gently and remove from pan. Add the butter in the pan and add the chopped onions and green bell pepper, cooking until browned and caramelized. Once browned, add the meat back in and combine together. Let the mixture cool while you prepare your egg roll wrappers and cheese. Lay them on a flat surface and place a half a slice of American cheese on the wrapper. Make sure to keep the wrappers covered when you aren’t actively using them so they don’t dry out. You don’t really want to crowd the pan because they may stick together or it could even drop the temperature down too far. 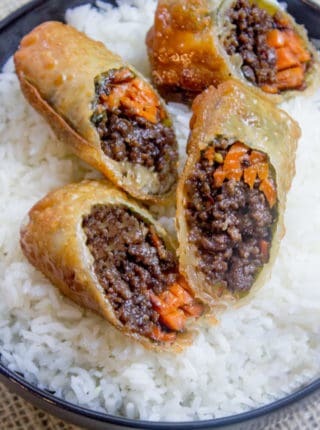 Avoid cooling on napkins and paper towels, you don’t want to capture steam under the egg roll, it will create sogginess. I was curious if I could air fry them in my foodi? I’ve not tested it so I’m not sure if it’ll work or not. If you decide to try, I’d love to know how it turns out. Thanks. Love the receipes you show, Original easy and ones I wouldn’t think of on my own. The chicken tenders with brown sugar and bacon is todays find. Thank y ou and keep them coming. Have some of these in the freezer! Do you recommend defrosting before cooking?? I don’t recommend thawing them out. Enjoy!! Can you use other cheese beside American cheese. Of course! Use whatever cheese you prefer! Can these be fried in a deep fryer? Made these exactly as listed except cooked onion and bell pepper first, then just added ground beef to the pan and cooked it all together. This was amazing!!! I thought the beef mixture would need more flavor but it was perfect as stated in recipe. Saved and will make again! Fantastic! I’m so glad you enjoyed it! Thanks for the 5 star rating! I used provolone cheese and it was heavenly. Thanks for the great idea!! You’re welcome Cathlene! Thanks for the 5 star rating! 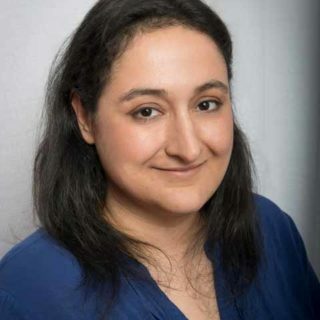 To Sabrina – Thank you so much for sharing this recipe! My husband is a Cheese Steak anything lover! He has bone marrow cancer, and the chemo makes a lot of things taste bad. Plus he doesn’t have much of an appetite, so I am always looking for recipes that he will like. To Tammi Peck – Thanks for your info on baking these, as well as using ground turkey. In addition to the cancer, my husband recently had a heart attack so we don’t do fried foods. It is really hard to have to find things he will eat while also having to constantly adapt recipes to his diet, not knowing if it will be a good thing or not! LOL! Keep posting your adaptations! There are some of us who really appreciate it! I made these for dinner tonight. I used ground turkey, onion, red and orange peppers, mozarella/provolone shredded cheese then baked at 400 degrees for ab out 15-20 min. Oh I sprayed them with cooking spray….they were good. I would use more onion and peppers next time and I’d add a little more garlic/herb seasoning and maybe try using velveeta cheese slices . Overall they were good and will make again. Sorry Tammi, but when you completely change the ingredients in a given recipe, your comment as to the results are worthless. You clearly are a creative cook, and your ideas sound great, but they have no reflection or bearing on how one might enjoy the published recipe. My restaurant makes these but they use sliced prime rib and they are served with a side of horse radish sauce. I get them all the time. What sides would you suggest? Can these be baked in oven? You can but just know that they won’t be as crispy. I would suggest spraying them with cooking spray or brush them with oil before baking to help get some crisp. Bake at 400 for around 1-15 minutes or until golden brown. Can you tell me at what temperature you fried yours? I want to try them at my next party. You’ll want to make sure your oil is at 350 degrees to fry them. Enjoy! I tried baking – 400 degrees and a little over 15 minutes. I brushed with an egg wash to help them brown and they turned out great! You might be pleasantly surprised. You have to start somewhere!! Yes you do have to start somewhere. My daughter is learning to cook, this recipe is perfect to try. Thank you. Sabrina! Love this!!! And I love the tip about the paper towels! YES! Totally agree! Thanks! My kids really enjoyed these too! I haven’t made these yet, but I wanted to say that I love the great tips on how the consistency of the meat should be and how to test the oil. I will be making tonight, can’t wait! You’re welcome Robin! You’ll have to come back and let me know what you think. Enjoy!! This is a delicious idea! My husband doesn’t even ,like egg rolls, but he loves cheesesteaks! These look so yummy! I can’t wait to try these! Pinning for later! Awesome!! Hope you love them! 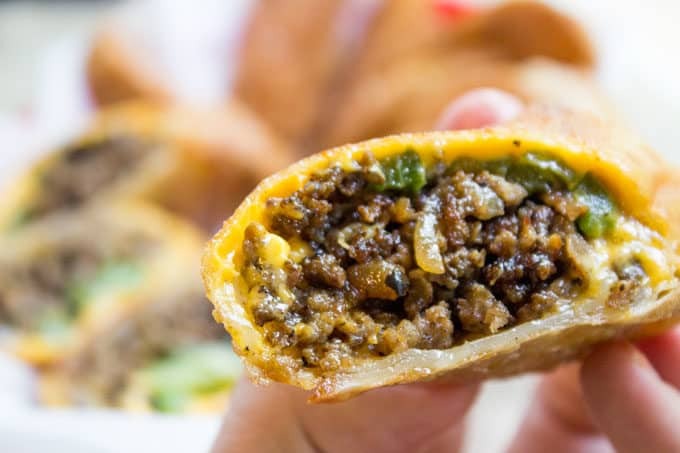 Yeah meat and cheese in a crispy shell, and you can dip it. That is pretty kid friendly 🙂 Even with my picky little one. This is such a great idea. I love egg rolls. I will have to try this recipe on the weekend. My husband would love these. Similar to the steak tornado appetizer things from Applebees. oh, I’ve never been to Applebees, but somehow steak tornado sounds like a delicious weather event I want to be a part of. My GOODNESS This looks incredible. 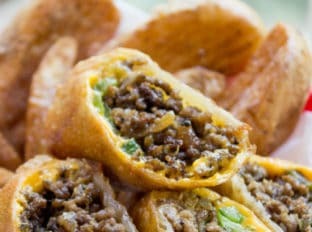 I will certainly make this recipe, I love eggrolls and cheesesteaks, great combination. OMG, that looks so good. My husband would love those. thanks! If he is anything like mine, you will turn your back for a minute and the plate will be empty! Yum! Now this is my kind of food! I would LOVE to make these. They look delicious! thanks! I’m a sucker for meat and cheese, so these were a hit in our house. These look so good! I love cheesteak and I love eggrolls so it’s a perfect combo. That looks so good! 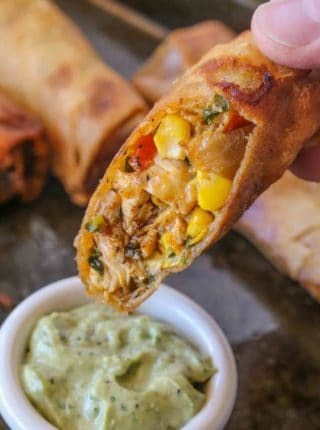 I’ve never though of using egg roll wraps like this. Yum! Has anyone tried baking theses? Wow those would make great apps or meals. My boyfriend would definitely be into them. 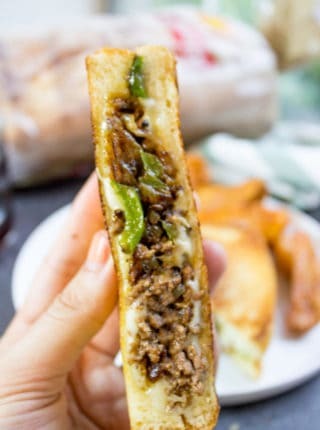 I love an asian twist on foods, and cheesesteaks are delish anyway you slice it! Yum! That’s such a great idea! Those sound absolutely delicious. Yum! These look really good. I think my husband and son would love them. Thanks for the recipe.